* Roberto Zavala, Ferrer Mechanical Services, HVAC Finally, Gaylor Electric, along with Cianbro, hosted a Power Line Man demonstration during the competition. 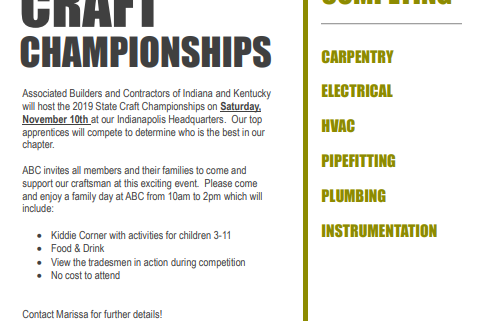 In addition to the strong performance of our apprentices, ABC of Indiana/Kentucky received a National Best Practice Award of Excellence for our “Jump on the YouTube Train: Create Your Own Training Videos” initiative, as well as the Best Practice Champion Award for our Floorcovering Installer Apprenticeship program and Young Professionals program. 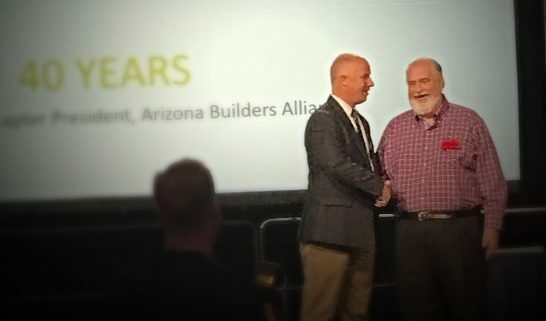 Also at this awards breakfast, J.R. Gaylor, our President and CEO was recognized for his 30 years of service to the Association. 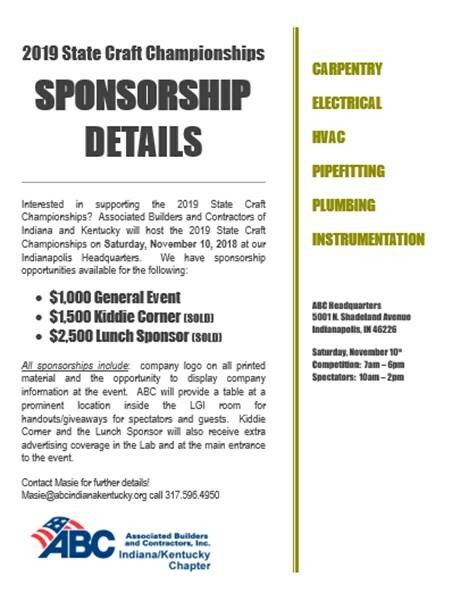 Associated Builders and Contractors (ABC) is a national construction industry trade association established in 1950 that represents nearly 21,000 members. 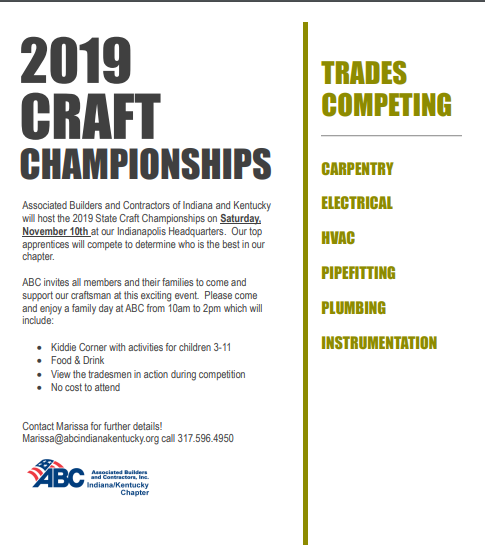 Founded on the merit shop philosophy, ABC and its 70 chapters help members develop people, win work and deliver that work safely, ethically and profitably for the betterment of the communities in which ABC and its members work. Visit us at abc.org.